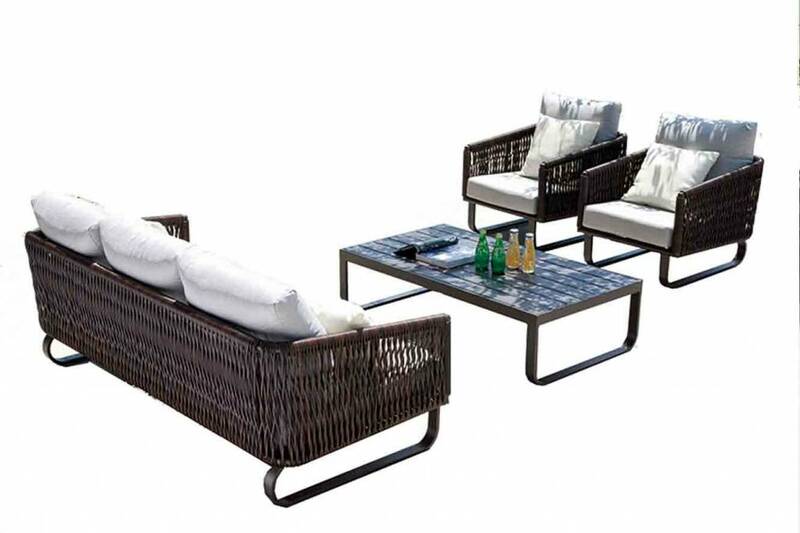 Angled arms and an interesting vertical rattan weave set the Haiti collection apart from the other Babmar collections. Large, loose back cushions and thick seat cushions add comfort with style to the Haiti pieces. With enough seating for five and a large rectangular coffee table, the Haiti Sofa Set is great for entertaining. 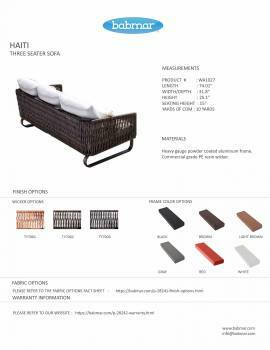 Comprised of Babmar Fiber®, the Haiti Sofa Set is able to withstand the harshest of elements lasting from season to season. Available in dark brown all weather wicker with white SunProof® cushions. 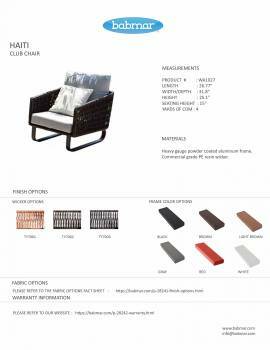 This Loveseat and Club Chairs are detailed with a 5" thick cushion and a heavy gauge aluminum frame. 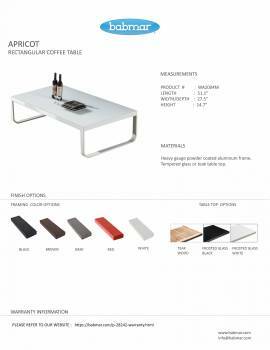 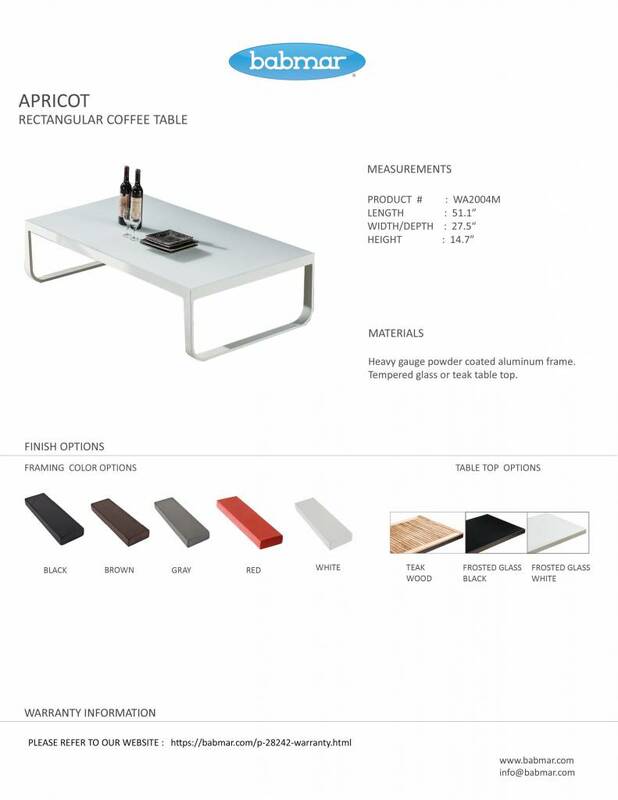 This Coffee Table is detailed with a polywood top and a heavy gauge aluminum frame.